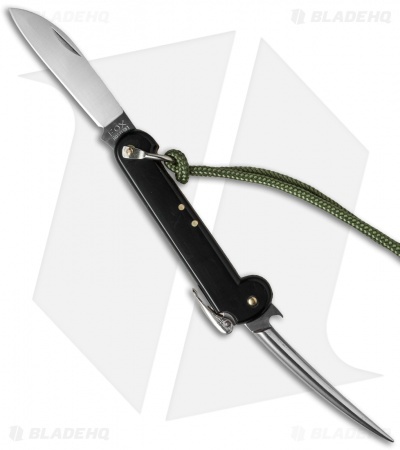 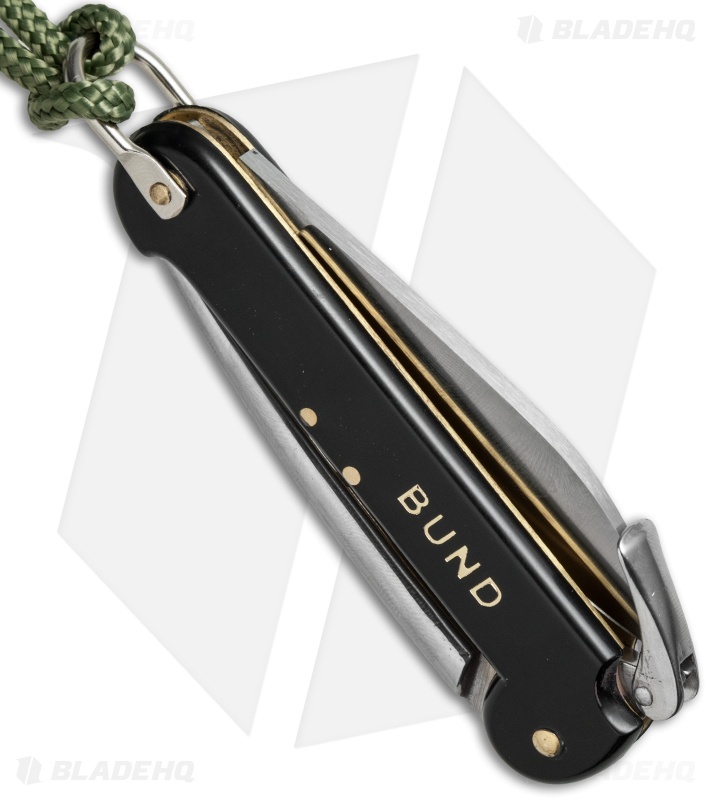 The Fox Sailing knife is outfitted with a slip joint stainless steel blade and locking spike. Includes a bail loop and OD green cord. Simple in design, yet an essential tool for knots and cutting.